Accidents and injuries can often leave you strapped with expensive medical bills – we all know that an emergency room or hospital visit can cost hundreds of dollars even before surgical costs or the costs of medicine and physical therapy. Even worse, being sick or injured can often leave you unable to work and consequently unable to earn an income. This means that you have no money with which to pay your regular bills like rent or groceries, let alone your medical bills or to pay a lawyer to help you with your case. That is why our firm works on what is called a contingency basis. This means that we do not charge you anything unless we win your case, so you will not have to worry about legal fees to consider on top of all of the other financial obligations you have during this difficult time. We also offer free phone calls and consultations, because we want to be available to listen to you about your case right away without adding any more financial or emotional stress. We are available to speak over the phone, over the Internet, or in person about your case. We will even make hospital or house calls if you are sick or injured badly enough to keep you from being able to travel to us. We want to accommodate you and to work with you as best we can. Our lawyers have over sixty years of cumulative legal experience and are ready and waiting to help you with your case so that you can receive the financial compensation you deserve as an accident victim. 24/7 Call us at 215 735 4800 We want to start helping to make this right for you. The call is FREE and our lawyers can come to your home, office or hospital. Think You Can’t Afford a Lawyer? Simply put, we guarantee we win or there is no fee to you. Pretty simple! We recognize your situation and understand that you may not be working and have outstanding bills. We realize you thought you could not afford an Injury lawyer. Your problem has been solved. If you have been involved in any kind of accident, you may be afraid to contact a lawyer about your case because you are concerned about the money it will cost. Many people assume that working with a lawyer will be expensive and will take away from your already tight finances, but we are here to tell you that that is not true. Simply put, we win or its free – unless we win your case and get you the compensation you deserve, you do not have to pay any kind of fee. 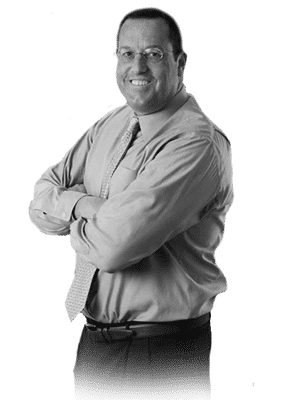 Our firm will handle many different kinds of cases, including vehicle accidents, medical malpractice, workers compensation, DUIs, slip and falls, dog bites, Social Security disability claims, and limited tort cases.